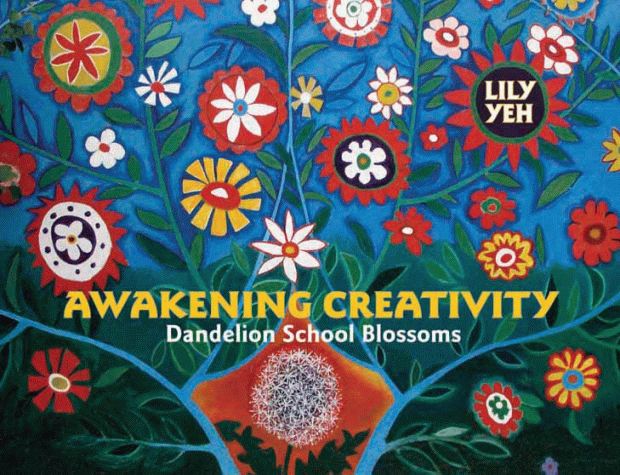 Celebrating the 30th anniversary of The Village, Lily Yeh designed this mural to commemorate the legacy of renowned artists Arthur Hall and Barbara Bullock. 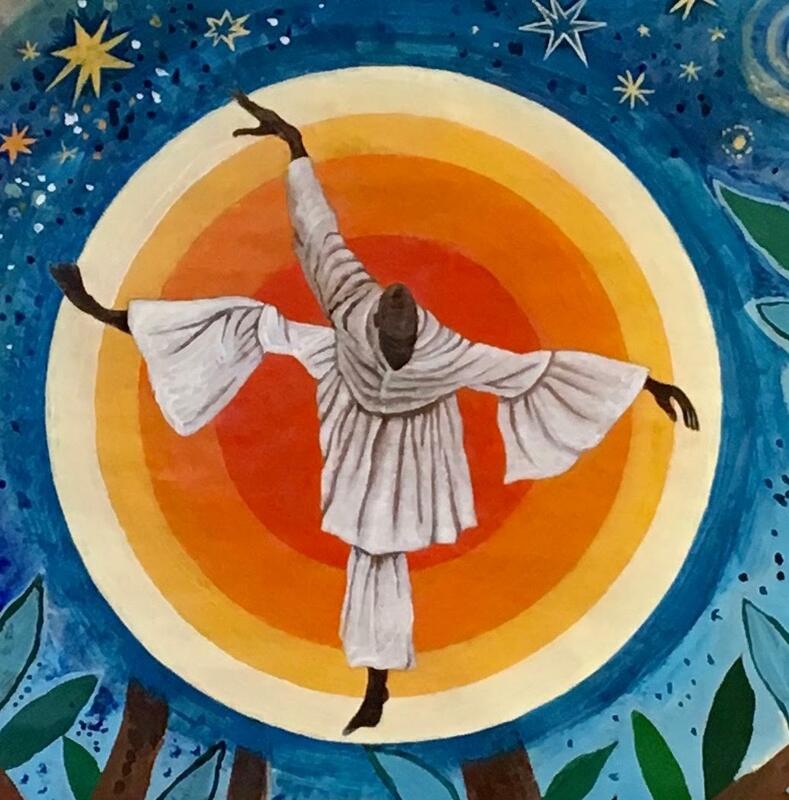 The late Arthur Hall was an internationally eminent choreographer, dancer, and the founder of the Arthur Hall Afro-American Dance Ensemble and the Ile-Ife Black Humanitarian Center in North Philadelphia. Barbara Bullock is a highly acclaimed Philadelphia-based artist and teacher. She has received numerous prestigious regional and national awards. 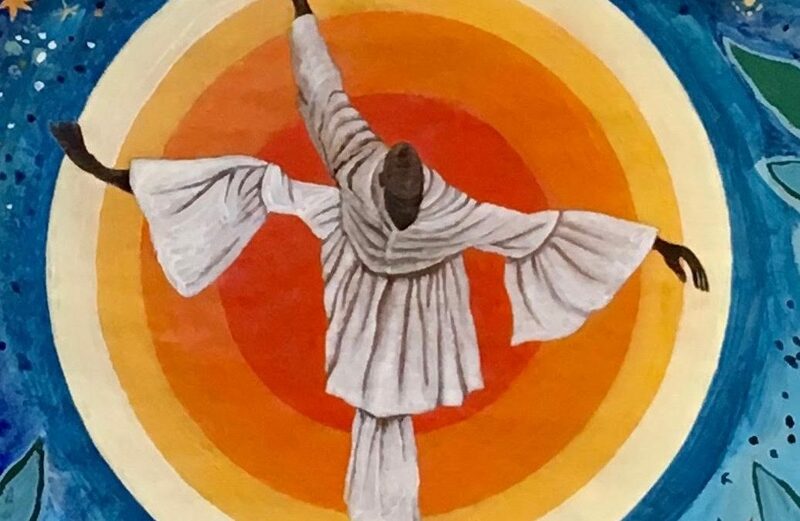 The figure swaying in an ample white robe on the left commemorates Arthur Hall’s creation and performance as Obatala in his signature theater piece of the same title. 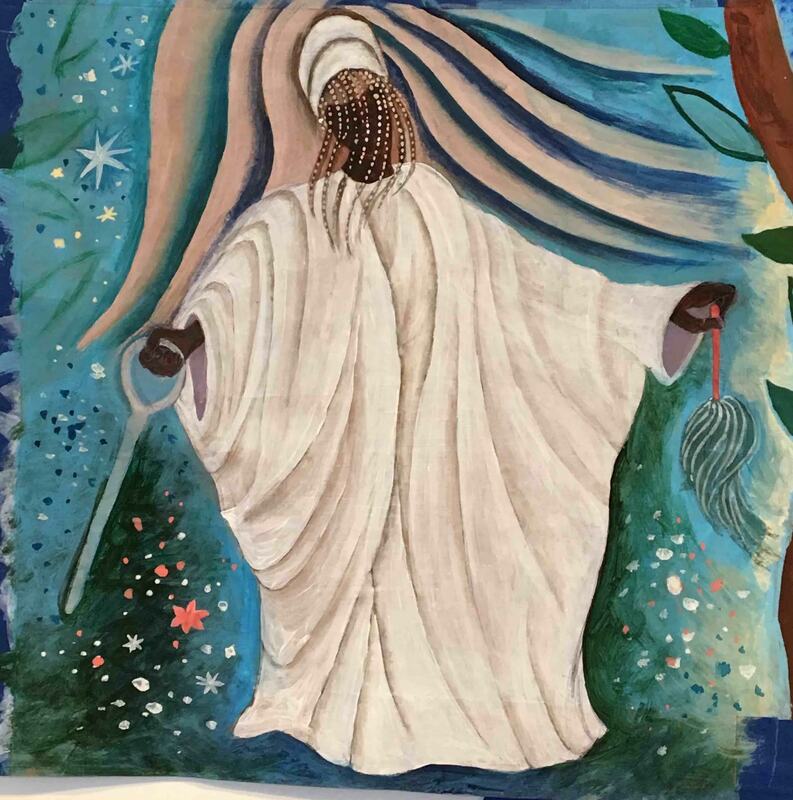 Obatala embodies the creative spirit, purity, and moral righteousness of the Yoruba people of Nigeria. 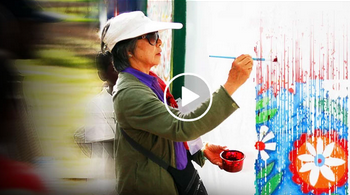 We heartily congratulate the Village’s recent prestigious award from ArtPlace America. It is one of the 23 selected from 1,000 applicants nationally.